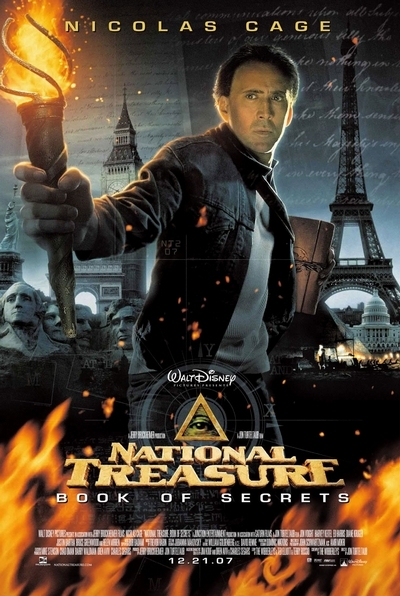 Story: In this follow up to the box-office hit "National Treasure," treasure hunter Ben Gates (Nicolas Cage) once again sets out on an exhilarating, action-packed new global quest to unearth hidden history and treasures. When a missing page from the diary of John Wilkes Booth surfaces, Ben's great-great grandfather is suddenly implicated as a key conspirator in Abraham Lincoln's death. Determined to prove his ancestor's innocence, Ben follows an international chain of clues that takes him on a chase from Paris to London and ultimately back to America. This journey leads Ben and his crew not only to surprising revelations - but to the trail of the world's most treasured secrets.